This little phrase is on every mutual fund prospectus, but it’s no wonder no one reads it. It’s buried in boring disclosure language in a document filled with jargon and charts that would put pretty much anyone to sleep. So it’s not surprising this important lesson doesn’t really sink in for so many investors—even though it should. 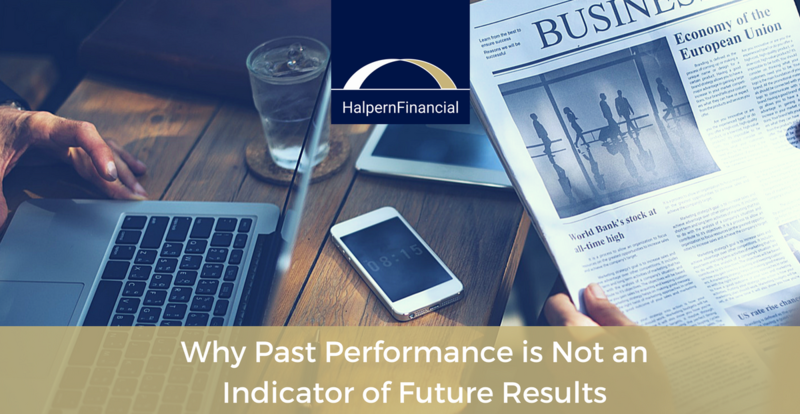 Unfortunately, some investors learn that “past performance is not an indicator of future results” the hard way. Near the end of 2017, General Electric (GE) gave a perfect illustration. GE has been around for 125 years, and has been a component of the Dow Jones Industrial Average (an index composed of only 30 companies) for 110 consecutive years. But even with such a long and respected history, the stock’s performance in Q4 2018 was anything but predictable. 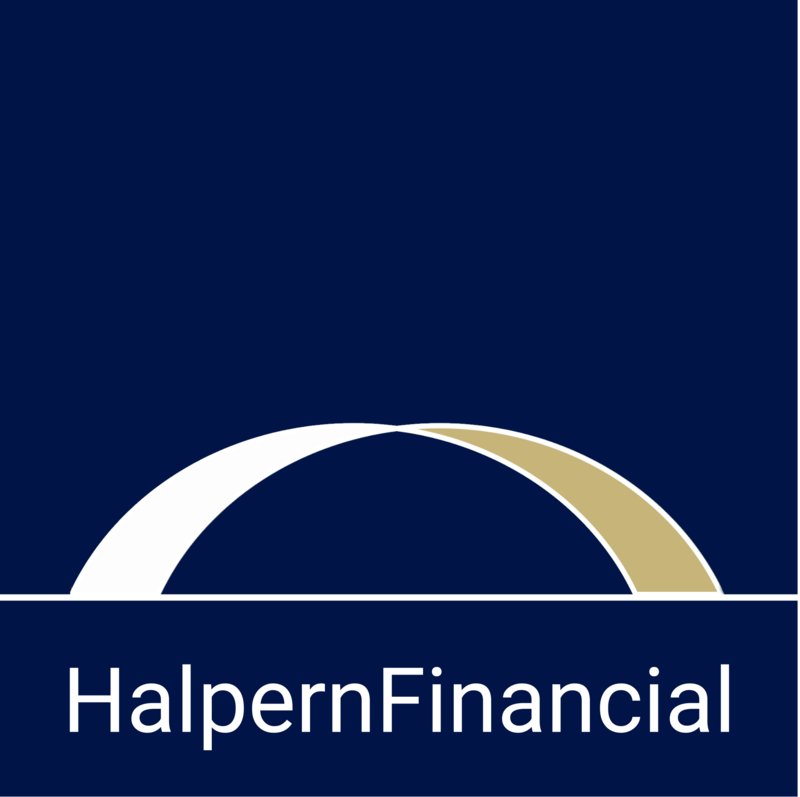 While we don’t recommend individual stocks as part of our strategy at Halpern Financial, we can learn from this stock, which has long been viewed as a safe bet for investors seeking stable growth through dividends. 2017 was a year when almost all asset classes have yielded positive returns. Yet from the start of the year to November 2017, GE lost 40% of its value year-to-date. That is drastic. On top of the loss, GE cut its dividend in half. GE has paid a regular dividend since 1899 and has only cut it twice: in 1939 and in 2009. Why the sudden downturn? There are a number of reasons—the spinoff of GE Capital (the banking arm of the company that previously funded the dividend), slowing growth, cash flow problems—but none of them really matter. What matters is the fact that even the dividend-paying stocks that your grandparents retired on are not automatically “safe” as a single portfolio holding. This is a very unique example to have such a massive difference between the index and the underlying stock, which has been a mainstay of that index for so many years. It shows the true value of diversification. While diversification in and of itself is not intended to increase portfolio returns, the fact that you are not participating in steep dips associated with a single company can put you in a better spot to benefit from the upside. Diversification smooths out the peaks and valleys of individual stock performance, as you can see in this chart of the Dow compared to GE in 2017. We always come back to the importance of diversification when we talk to anyone about investment strategy. In years expected to be volatile, it can be very useful. But even in a strongly positive year like this one, diversification can provide returns while offering some protection—particularly with stocks like GE that no one would ever expect to falter. And the great thing is, if you have a properly allocated, diversified strategy, you don’t have to predict the future. Like what you just read? Get the blog in your inbox!